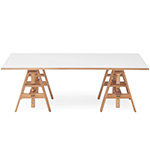 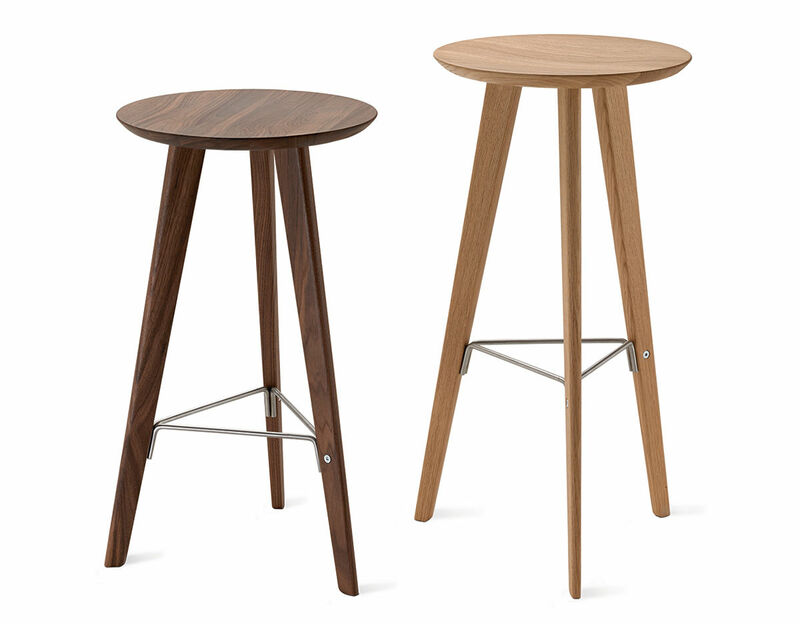 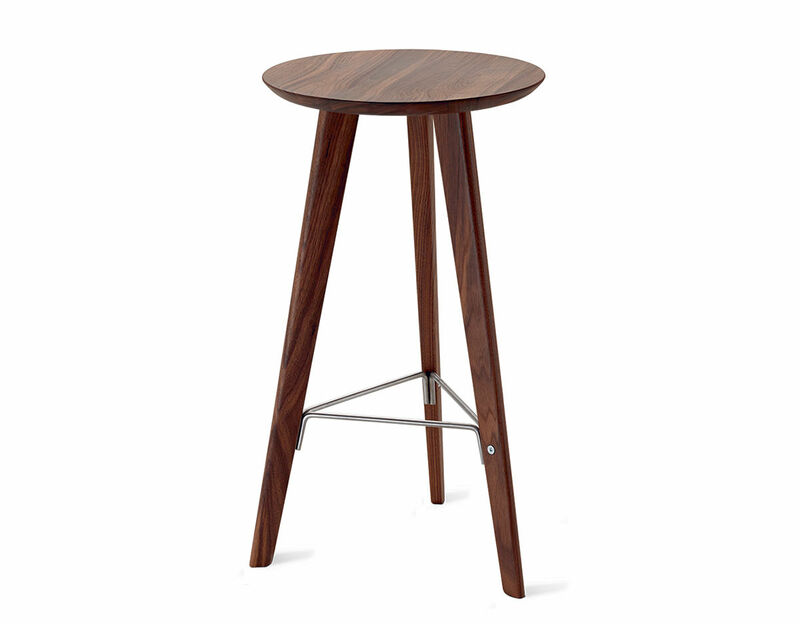 The Ido stool features a solid oak or Canaletto walnut frame with a natural finish. 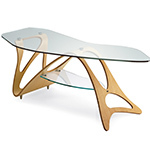 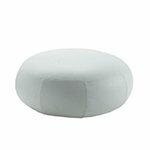 The footrest is stain-finished stainless steel. 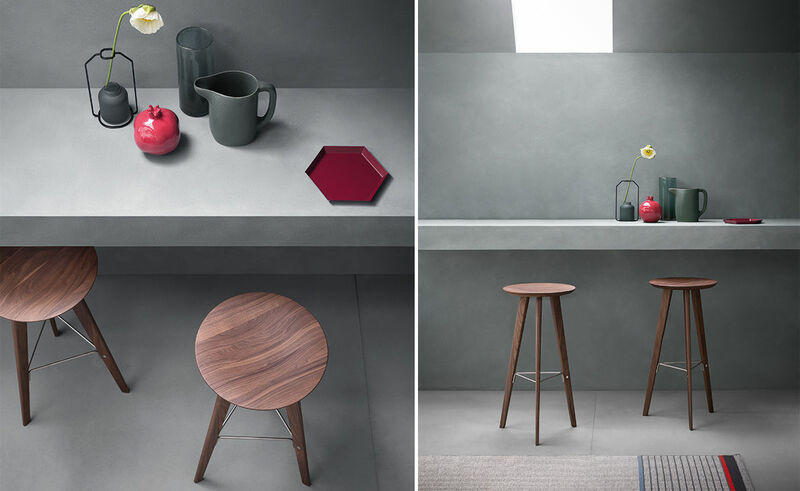 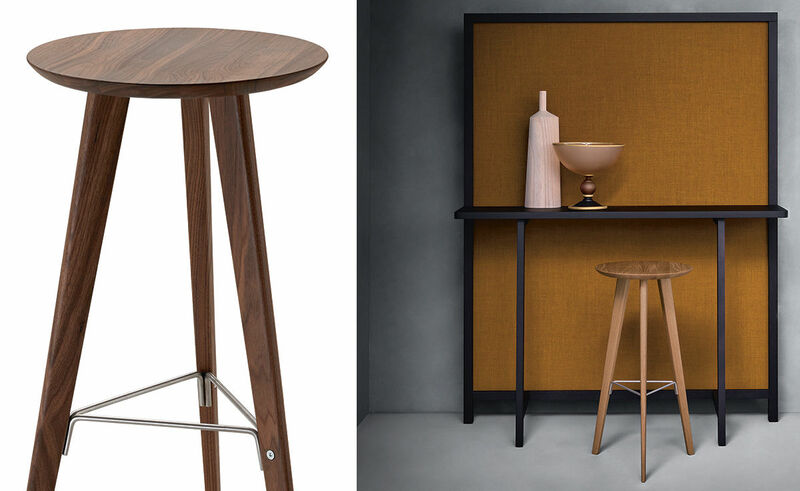 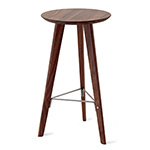 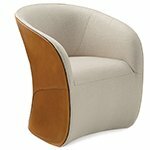 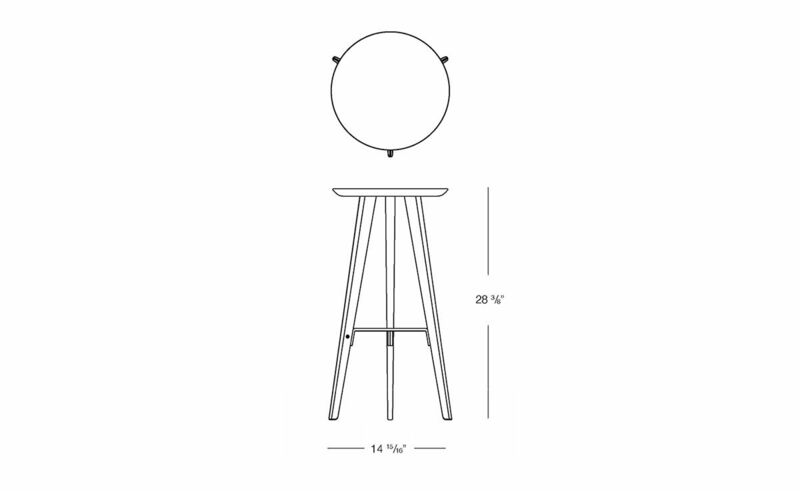 The simple and sculptural stool is offered in two heights.